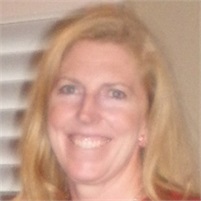 Janet Wright is a director of operations at Wright Choice Financial. She has seven years’ experience in the insurance and annuity industry and holds a Bachelor of Science degree in Journalism, with a public relations concentration, from California Polytechnic State University, San Luis Obispo. She is a notary in the state of New Hampshire. Janet joined Wright Choice Financial Group in 2008 when the company was growing rapidly and needed someone with her expertise. She viewed the move to WCFG as a logical transition from her similar position in another company. In her role as Director of Operations, Janet manages all daily office operations and staff, assists with new marketing ideas and seminars, and serves as a liaison between the advisor and other team members. Janet and her husband, Doug, live in Amherst, New Hampshire, with their son. Her hobbies include horseback riding (show jumping), rowing, travel and reading.